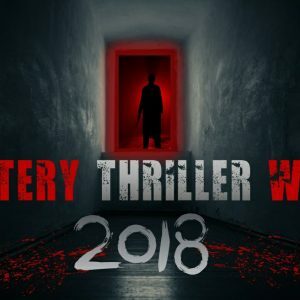 Here we go again with my next guest Brian L Porter as part of the Mystery Thriller Week 2018. Tell us something about yourself first of all please. Brian L Porter, is an Amazon bestselling author with 15 #1 bestsellers to his name. He writes as Brian L Porter, Harry Porter, (children’s books) and Juan Pablo Jalisco, (romantic poetry). 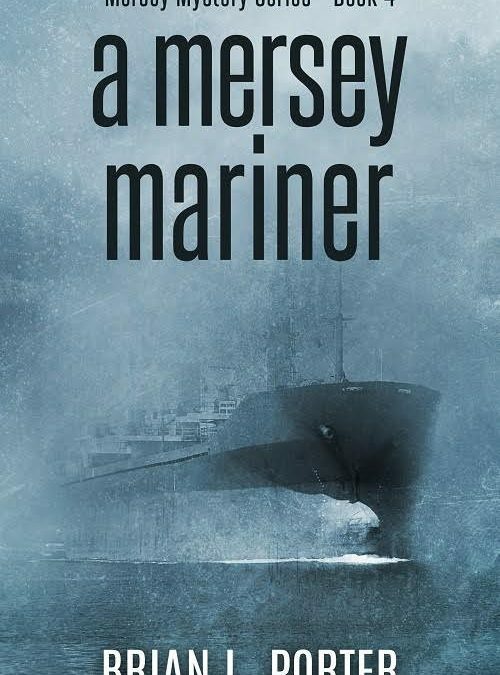 He’s the author of the successful Mersey Mystery Series which includes bestselling A Mersey Killing and recent award winner, A Mersey Mariner. His most successful book to date is Sasha, the award winning international bestselling true story of his amazing epileptic dog of the same name. 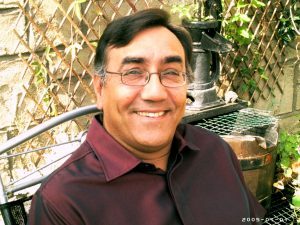 His books have won numerous awards, including best thriller, mystery, and best nonfiction book awards. Brian lives with his wife Juliet and their eleven rescue dogs, in the north of England, and is an avid dog lover and rescuer. My writing first began as a form of therapy after I suffered a serious mental breakdown. When it became obvious that I had some talent as a result of great reviews of my early work, and as I was disabled by illness, I decided to try full time writing. I’m pleased to say it has become both a passion and a full time occupation and I really do write for sheer pleasure nowadays. I am currently working on the last few chapters of my latest Mersey Mystery, A Very Mersey Murder. This will be the fifth book in the series and will be available within the next few months. As usual, with the Mersey Mysteries, my inspiration comes primarily from the wonderful people of the city of Liverpool. As always, the personalities of the central characters of the book are based on various members of my own family in Liverpool, as I knew them in my younger days, rather than as they are today. The plot itself is purely a product of my own over-fertile imagination. A bit of both really. Although the basic plotline for each of my books is drawn up in advance, I tend to find that once I begin to write, my characters will often hijack the story and I find myself making fundamental changes to the original ideas that went into forming the story. This happens more and more as the characters in the Mersey Mysteries develop from book to book, and as I write for them, these changes to my original ideas become almost logical as their personalities almost demand that I expand certain parts of the plot or make changes to further develop certain aspects of the book. Sounds strange, but I assure you it’s quite true. I suppose that’s what they mean by an author being taken over by the characters in his books. That’s an easy one for me to answer. As a young boy I found myself captivated by the Sherlock Holmes stories by Sir Arthur Conan Doyle. Doyle was a genius as far as I’m concerned and I still never tire of reading his works. I also admit to being influenced by the brilliant adventure stories of Clive Cussler. His novels carry the reader along in a roller-coaster of action, emotion and are classic page turning thrill-laden fiction. I do try to emulate him in some small way in certain plot lines of a couple of my Mersey Mysteries, A Mersey Maiden being a good example. In recent years I have also been influenced by the brilliant medical thrillers written by Tess Gerritsen who also provided me with a good luck message which was carried on the cover of my first novel, A Study in Red, The Secret Journal of Jack the Ripper. My own medical thriller, The Nemesis Cell was written as my own personal homage to Tess. I use Facebook, Twitter and Instagram to help to promote my books. I find Facebook helpful but annoying, as I’ve often been banned for ‘posting too fast’ or translated, too much. Twitter and Instagram are ok but don’t produce the same results as Facebook which has the added advantage of enabling me to make many new online friends. Without a doubt my biggest fan is a lady from Gainsborough in the UK, called Brenda Friar. Brenda contacted me some time ago to let me know she has bought and read every one of my books, written under all three of my names, and has reviewed every one of them. She adores my work, and has awarded five star reviews to all my books. She also regularly reads my reviews and is quick to respond to any negative reviews by leaving quite cutting comments on many of them. Thankfully I rarely receive such reviews, but I always know that Brenda will give such reviewers a good telling off when and if they appear. Sadly, I’m now at the age where anything I may have had on a bucket list has either been achieved already, or is now too far beyond me. If I had to come up with a new one now, I think #1 on the list would be having the opportunity to meet Tess Gerritsen and thank her personally for her encouragement when I was just starting out as a writer. My joint #1 is a little closer to home. As a lifetime supporter of Everton Football Club, I would love to visit Goodison Park to see my team play at home one more time. Sadly, my disabilities make travelling more than a few miles impossible these days, so rather than a bucket list, maybe I should call that one my ‘impossible dream’. I would love to say a massive thank you to all, my readers, especially those who in the growing market in Australia, where my books have begun to enjoy a great deal of success, and where I have already had two different #1 bestsellers, Sasha and A Mersey Killing. Without doubt my two biggest markets are the UK and USA and again, I thank all my readers on both sides of the pond for their loyal following. I have read and reviewed two of Brian’s books. They are superb. if you would like to see my review of A Mersey Killing click on that link. Thanks Steve. It was a pleasure to take part in your interview, which I will certainly ensure receives plenty of publicity. It was a pleasure having you as a guest!